When can I wake up? The one that consoled me that I can own anything once I wake up cannot be seen anymore. The one that said to take responsibility for me had disappeared, and no one looks for me anymore. Yes. I was abandoned. Inside a collapsed building, relying on life-sustaining device to cling onto my life. Sometimes, I feel that I would have died of loneliness if not for the world in my dreams. As the proofeader of this series, I can't really tell anyone what to expect. On my personal rankings, the novel is relatively simple and has yet to introduce interesting story content. At the moment, I'm only up to 7 chapters; there may be room for this series to grow. What I found most vexing about this series was how it came out in the raw translations provided to me and my own inability to provide a quality proofreading (in contrast to Koukouseidesu, who does a wonderful job of proofreading for EER... more>> on KCDS). My proofreading style tries not to adjust the formatting of the stories as much as possible, so sentences that would sound better as paragraphs get stuck as one-line sentences. For me, this annoyed me when I would proofread, and as readers it might be vexing too. The story's premise is actually pretty decent. 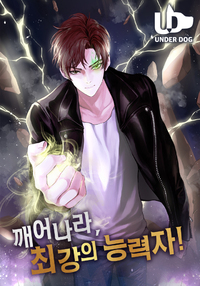 I have maybe read something similar to this in the novel community (maybe that's just me), but it revolves around a the main character, Yoo Igeon suffering from a trauma from which he is dragged into a modern fantasy world. I am sure that other, more avid readers will tell you that this is a relatively common trope, or not. Because of the slow proofreading process (me), we're at a relatively slow pace. As of chapter 7, the story has yet to enter what I call a "training arc" in which the main character gains strength. If you're looking for something that's much faster and much more satisfying, this novel will probably bore you. It's not something that will pick up the pace in the first 10 chapters (where we are at). Perhaps later down the line it will make up for an apparent boredom in the beginning. As of right now, I can't tell you what the novel may bring. But I do hope that everyone will give it a shot for what it is. Honestly, a decent read during the training arc that shows the effort the MC put into training (rated 4/5), but the "chapters" speed and volume of content are frustratingly lacking as of late. Currently rating it down to 3/5. I'm going to let "chapters" stockpile for later reading rather than wait a week or longer for 5 minutes of reading time at a go. MC: I'm hungry, I'm gonna eat this thing I just killed. MC: Reasons 1 and 2 are invalid, I'm gonna eat it... Go away. This story is my cup of tea. Its like EER with MC getting their powers in weird way. But I dont like the way author calls the 19 year old guy a boy though and thr MC act like a mommy's boy too, But its all good aside from that.. And I hope you realease more often.. It starts off kinda slow and boring but it really kicks off at around chapter 8~10. When the so called "Training arc" Begins. The MC starts off really Naive and insecure but as his personality develops he become a really likeable character (tho he is kinda stupid, he's not dumb). And the Characters in the Training Arc are kinda cool. They bring a breath of fresh air to the story. Well, I say you should give it a go. Especially considering that the story hasn't even really started yet. (Tho I believe... more>> it will start after a few more chapters tho). It goes to show how much potential this novel has (kinda reminds me of the time when EER had just started and ppl were talking sh*t about it, even tho it showed a lot of promise). I was going to give this a one because of how stupidly naive the MC actually began. I wouldn't have believed the MC was 19 years old because he sure didn't act like it in the beginning, despite the Author constantly trying to tell me the MC was smarter despite his actions. What idiot calls the person who works for the people who imprisoned him, 'Hyung'? And tells him everything about himself without hiding anything? I do admit that there were brief moments that the MC actually acted like he... more>> had a brain but it wasn't enough to save this character. What saved this story for me was when the MC began to train with his yellow ring, it was like a breath of fresh air and finally the MC began to be his actual character description.